On Saturday 17th September Fetlar Community Association will be holding a Coffee afternoon in the hall from 2pm, with sales tables from 3pm to raise money for hall funds. Both Brough Lodge and Leagarth will be available for viewing as part of the open doors day. Viewing at Brough Lodge is from 11am and Leagarth from 12 noon. Booking is essential for both. Tel 01595 744800. 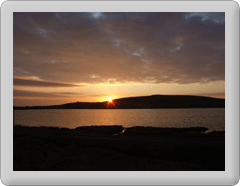 Fetlar Interpretive Centre will have extended opening from 11am till 4pm. There are extensive exhibits from both properties on display in the Centre. Hot drinks and biscuits are also available.